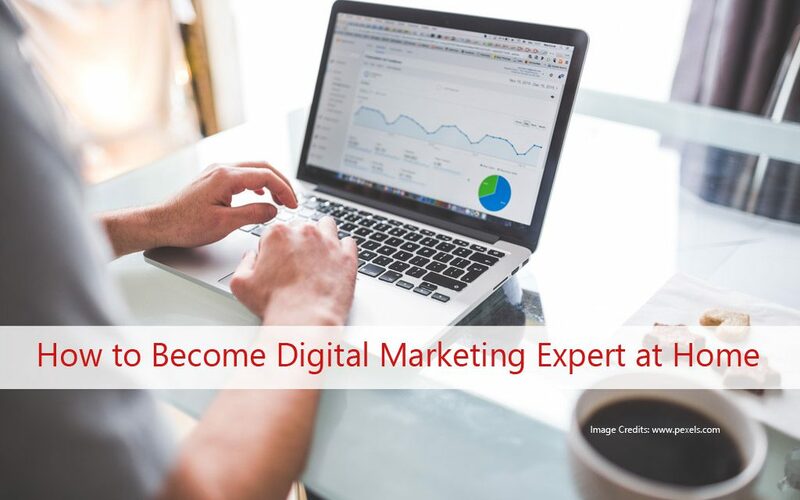 Industry is shifting towards internet and becoming a self-made Digital Marketing Expert is crucial to survive even if you are just a normal local business owner of newbie in marketing job assisting customers with their queries. I will also show you how to start a career in Digital Marketing Step by step and that’s the foundation of becoming a specialist in Digital marketing domain. More people consume content on internet rather reading newspapers and magazine and that also forced advertisers to place ads on internet more than any other place. In 2018, the best part is everybody know they are being marketed for products and services everywhere whether it’s Facebook, your favorite shopping website or your daily morning news app. Ads are everywhere. So why aren’t they yours? This is the biggest reason, Digital Marketing Expert in India and abroad are needed in large numbers and every industry want to have their piece of internet pie. A recent study on this showed that demand is increasing exponentially and will be going up in future more. No matter what your skill set is, technical/ non-technical, and wondering what profession could be best for you then some online courses on Digital Marketing are good that also provide workshops and you can start in less budget. There are many exams available online like Hubspot Inbound Marketing Certification from Inbound Academy or Google Certifications for Adwords, Display Advertising, Free Google Digital Unlocked Course and many more however these doesn’t make you a Digital marketing Expert as its a practical subject to learn with experimentation only. These can help you learn Basic level of Digital marketing or tools only or a module specific learning. So if you are planning to start a career as a Manager or VP of Digital Marketing and even if you want to become an independent Digital Marketing Consultant in India like me, you should self-learn as I did because testing and succeeding is the key. I learned complete Digital Marketing on my own to understand in depth of every topic it covers and learning with your own website is the best way to learn digital marketing. You can start practicing Digital Marketing today and can become a self-taught expert at the comfort of your home. You need a very least budget to get started like $50 to acquire a Domain and Hosting Account altogether and you can start a personal project of your own and best part about Digital Marketing is; you can get started with an internet connection and just a computer at home. Rest everything is available online! 2 How Much Do Digital Marketing Experts make? 3 What Skills do you need for Digital Marketing? 4 What is an example of Digital Marketing? 5 What is Digital Marketing Course? 6 How Do i Do Digital Marketing myself? Web Analytics & Data Management. Due to a great shift on Smartphone in last 10 years, Mobile Marketing became a big field of study under Digital Marketing as well and Google also now has mobile first indexing algorithm. You can try following steps to get started and then continue it for the success with add on to strategy for promotions based on data available. 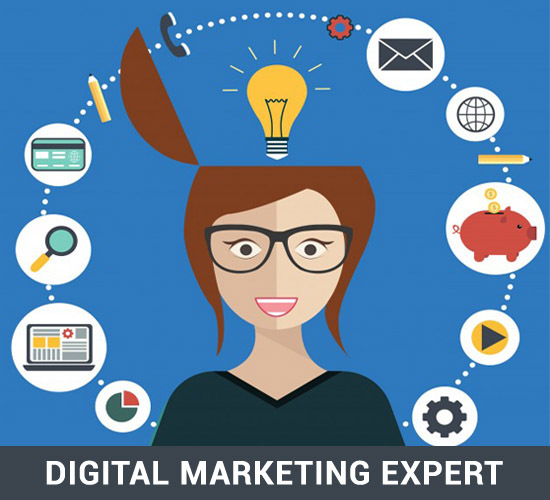 How Much Do Digital Marketing Experts make? That is a very common question that most budding marketers ask me daily. A Digital Marketing specialist with experience ranking from 2-5 years can make up to INR 6-10 LPA in India and it’s a great number to anyone. Digital Marketing is not a mere career option, its a lifestyle that you live daily. All you need is passion and basic knowledge of Internet with analytics and decision making skills to choose from best mediums for marketing a business and getting best return on investment. It all looks technical but with passion you can easily overcome and learn all this yourself at home. For example purpose, you can market and promote a product via Ads on Social media, on Google Searches, banners on websites via re-marketing and by doing Search engine optimization for the specific keywords. Digital Marketing Course comprises of SEO, SEM, SMO, SMM, Analytics, Email Marketing, Inbound Marketing & Affiliate Marketing along with Mobile Marketing, Display and Search Advertising and so on. I also have a Digital Marketing Course free of cost to learn basics to intermediate level covering all the aspects to start and grow a business online using Digital Marketing. Advance is what you learn by applying all the tactics in a trial and error method to finally succeeding in desired results. How Do i Do Digital Marketing myself? Decide your industry and make sure you are passionate about that. Start a blog on WordPress and you can start in as less as $50 for a self-hosted blog which is my first recommendation. Don’t use free blogs, they have limitations and future flaws. Choose 10-15 topics for 1st month and start writing with a proper schedule daily or once every 2 day. You can write more as well, which is best. Learn basic on page SEO checklist and write keyword optimized posts from start. Install Yoast SEO plugin and connect Google Analytics account in 10 easiest steps. (Yoast plugin explains it all). Signup for Google Adwords account and try Keyword Planner free tool to check trending keywords related to your niche and write your content around. Write more and more content every day and publish on your blog under relative categories you created. Create Facebook fan page for your blog and start sharing your blog posts. Use Facebook Ads Manager to start advertising for as low as $5 to $10 to learn basics. Equip your Blog with Facebook Like Box, Twitter Feeds Bar and other related widgets from Social profiles like Facebook, Twitter, LinkedIn, Google Plus, Instagram and many others but don’t fill up your blog much. I recommend to implement one at a time to grow and focus sharp in first month. Use Social Sharing Buttons to let people share your content if they like with their network. Select an Email Subscription service like Mailerlite for free up to 1000 subscriber and install Mailerlite plugin to embed forms on your website for collecting email ids. Start promoting your Facebook page in emails to your subscriber for better conversions. You can also use Google Adwords free $100 ad credits they provide for new signups and you can claim them anytime by calling their support center if not received in start. Signup for Google Webmaster tool (GWT) to check for crawling errors or updates on google listing and search data. After 20-25 blog posts, you will start to see some decent traffic then you can sign up for AdSense and try testing with advertising to earn sideways (Don’t over fill your website with ads as user experience is top most thing). Before choosing any theme always make sure your website theme is responsive to use on mobile phones. These all steps cost nothing in start except for Domain and Hosting; and can be easily done in first month of start. Once you finish these steps, you do not a Digital Marketing Expert because using these modules in such a way together to draw conversion is called as Integrated Digital Marketing. However, yes you gained a great knowledge which most people don’t have when they start first hand. You can invest 2 hours daily to write a well-researched blog post of more than 700 words and can share on social channels. For starting a job as a Digital Marketing Expert, this personal project will help you more than a Certificate to get a job easily and even if you don’t want a job; you can start your own online business easily. When I started first hand back in 2009, it was a pure Pandora box for me and was unaware of anything I wrote above. Started my own Website Design business and started learning on my own. I earned almost $20,000 in 3 year span of business and later shut down that business due to the saturation in market for website & design service professionals in every nook and corner. It was a pure experience that no other Digital Marketing institute can teach me. I invested approximately $60 for Domain and Hosting and $200 for business registration. Other expenses were office based management and rent. Hope you got a clear idea of what you need to do to become a Digital Marketing Expert at the comfort of your home but don’t be too lazy to miss tasks I mentioned. Practice well and keep learning is the key to success. If you are still not sure how to get started, you can join my free Digital Marketing Course with 25+ video lessons that directly delivered to your email address once signed up. Comment your thoughts below on the topic and if you are an expert already, do share some additional insights on topic in comment box. I like you that you are an entrepreneur and fond of singing like me. Today, i have joine you on fb.